New Hope Club are making their way back to Asia this year! The British pop trio are kicking off their concert tour in Manila before heading off to Bangkok and Seoul. The boys have visited Manila three times since their first visit in 2017 when they supported labelmates The Vamps. 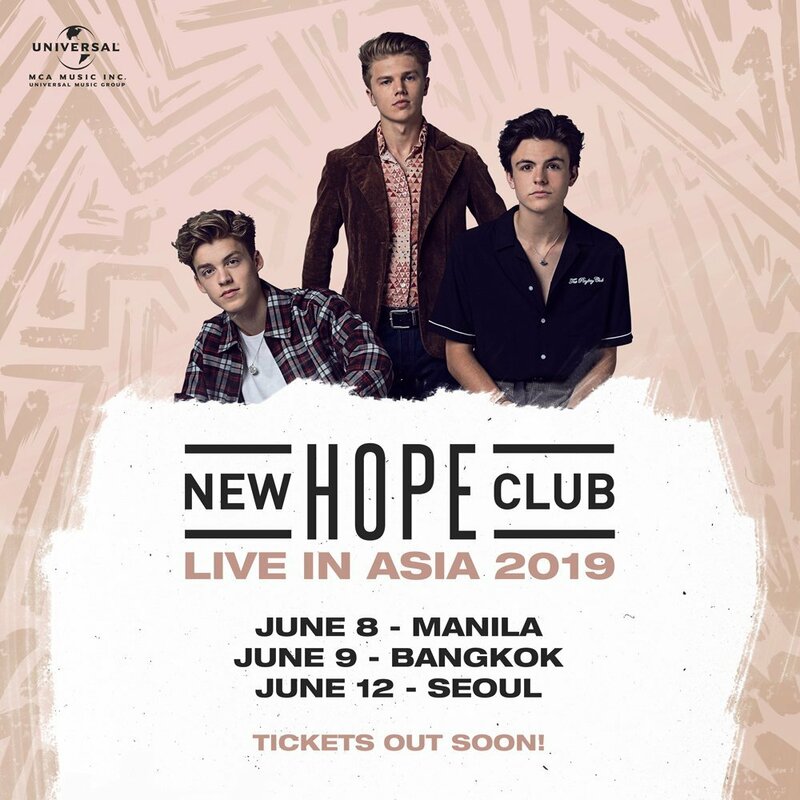 New Hope Club Live in Manila is happening on June 8, 2019 at the New Frontier Theatre. Tickets are priced at 4,770 PHP (VVIP + soundcheck party), 2,650 PHP (VIP Standing), and 2,120 PHP (Orchestra Standing) go on sale via Ticketnew on April 21, 2019. Online sale starts at 12:01 AM, while tickets be available at Ticketnet outlets at 10 AM. Venue and ticketing details for the Bangkok and Seoul shows will be announced soon.